INTERACTIVE STORYTELLING ADVENTURES FOR 2 TO 5 YEAR OLDS! Love the Gotalot Shop! Well, guess what? Mr Gotalot needs some help. Sidney, his usual shop assistant is on holiday, and Mr Gotalot just needs to pop down to the basement for a bit of a tidy up. Will you mind the shop for him? It’ll be very quiet. Thursdays are always quiet. Or are they? Ding-a-ling-a-ling! There goes the shop bell. 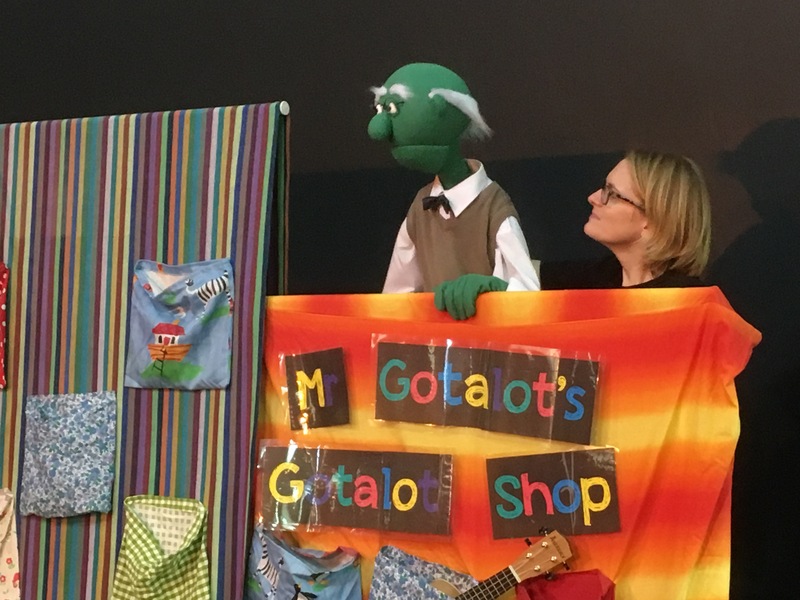 Which of Mr Gotalot’s crazy customers will it be? The struggling superhero, the stranded space explorer or even the mad scientist in training! With puppets, singing, dancing and games galore, join Monkey Trousers Theatre on a fantastic new interactive adventure for 2 to 5 year olds.